The 2018/2019 award applications are now available! Directions on how to apply for each award can be found by clicking on its name below. If you have any questions about the award applications, please contact awards@thetachi.org. 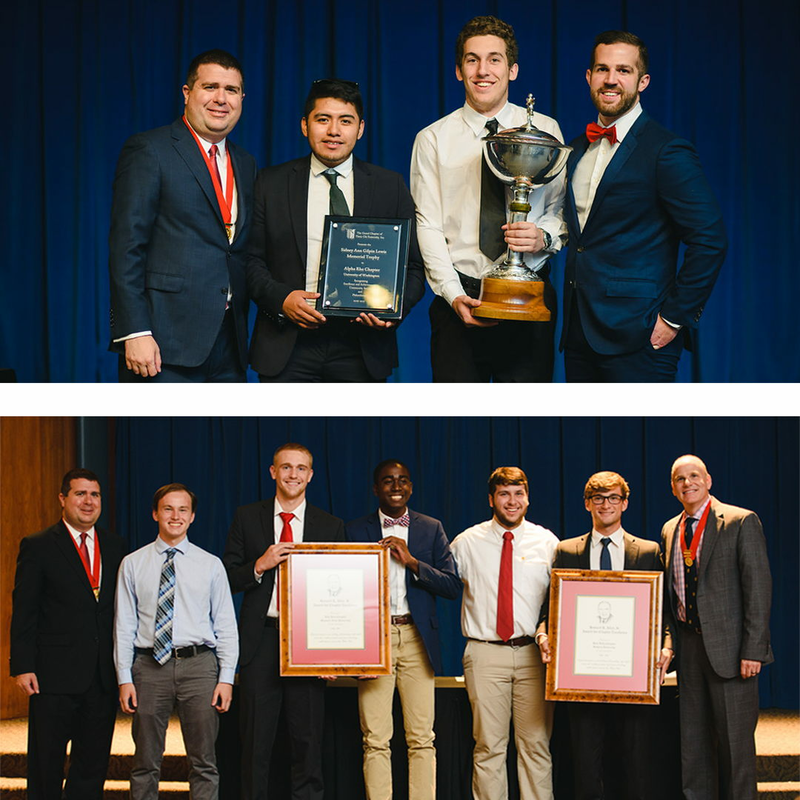 The highest honor that Theta Chi Fraternity can bestow upon a collegiate member, the Reginald E.F. Colley Memorial Trophy is presented annually by the Grand Chapter to one collegiate member who best demonstrates distinguished service to alma mater, Fraternity, and the chapter. Nominees must be collegiate members of Theta Chi Fraternity in good standing at the time of their nomination. First round nominations for the 2019 Colley Award have concluded. If you have questions, please contact awards@thetachi.org. Some awards require a form of payment to be submitted along with the nomination form. Your nomination will not be considered complete unless both the form and appropriate payments have been received by the International Headquarters staff. Note: You will need to download and save the PDF form to your computer to properly fill in applications listed below. The Citation of Honor is presented to members or non-members who have assisted the Fraternity or one or more of its members, or a chapter or chapters. The Alumni Award recognizes alumni who have made meritorious contributions to the local, regional or national general welfare of Theta Chi. The DeVol Award recognizes volunteers at the local, regional, or international level who provide outstanding volunteer service to the Fraternity. These awards are presented to those brothers who have been members of Theta Chi for 25, 50 and 75 years or more, respectively. If you have any questions about any of the awards listed above, please contact us at awards@thetachi.org.